Pistillino wall light fixture, a very unique modern light fixture. This fixture is simply gorgeous. 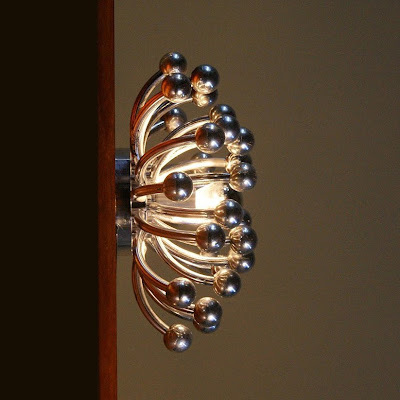 This beautiful modern wall light is an icon of Italian design, this starburst-like flushmount ceiling light fixture has a beautiful mid century modern space age retro style. 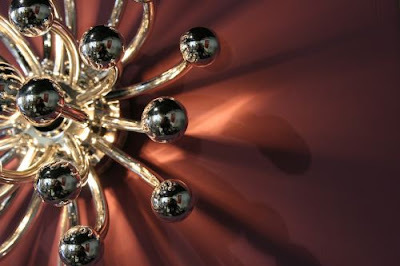 The striking design features reflective chrome rods with rounded ends that extend down from the wall- or ceiling canopy. This beautiful contemporary modern wall light can be mounted on either the ceiling or a wall. This wall light fixture is perfectly sized to fit in most hallways. 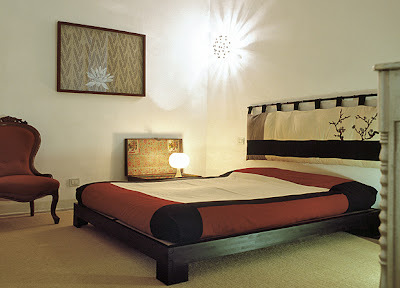 Not only is this a great wall light fixture but it is also highly suitable as a living room lamp and bedroom lamp. This beautiful contemporary wall light is definitely a conversation starter. It illuminates the room with a beautiful soft light and adds class, character and atmosphere.